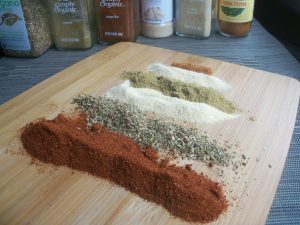 There are many recipes for chili powder and no need to buy yet another “spice”. I had never thought about it but chili powder is a combo of spices that I already had in my pantry. Some brands also add extras that are not a spice. Feel free to change out an ingredient or the amount of an ingredient to your family’s taste. Enjoy! This was very good, as opposed to conventional chili powder.